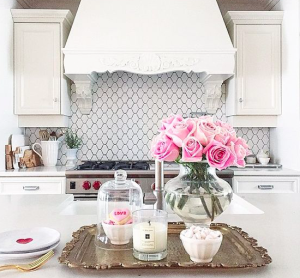 It’s finally that one time of year when areas in my house get replaced with something pink or red! Valentine’s Day will be here soon and it is time to decorate. 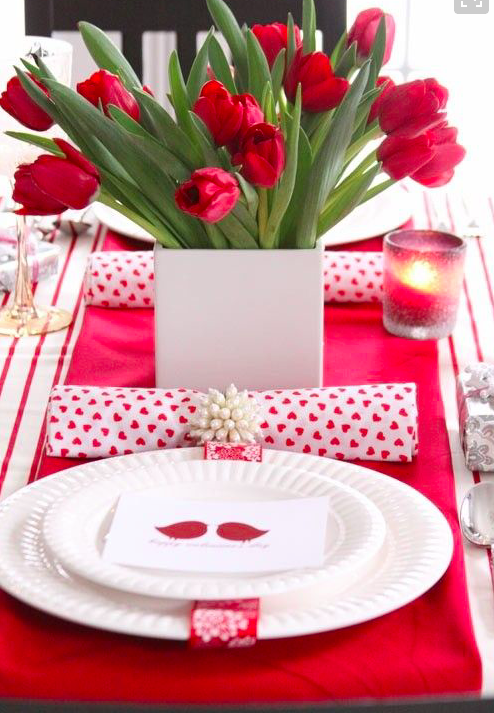 Valentine’s Day decor does not have to be difficult – some pops of color here and there will do the trick. 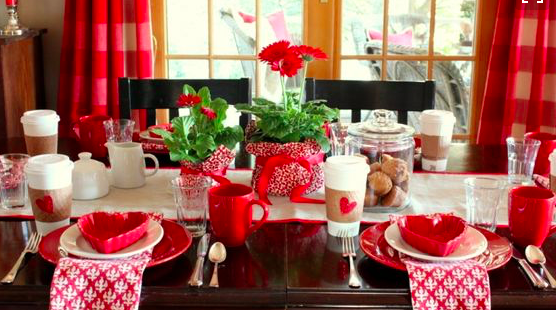 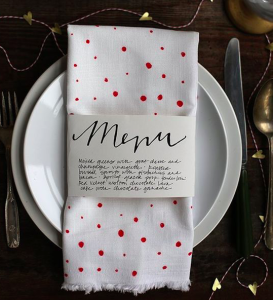 Here are some ideas to get your house ready Valentine’s Day, from porch to table. 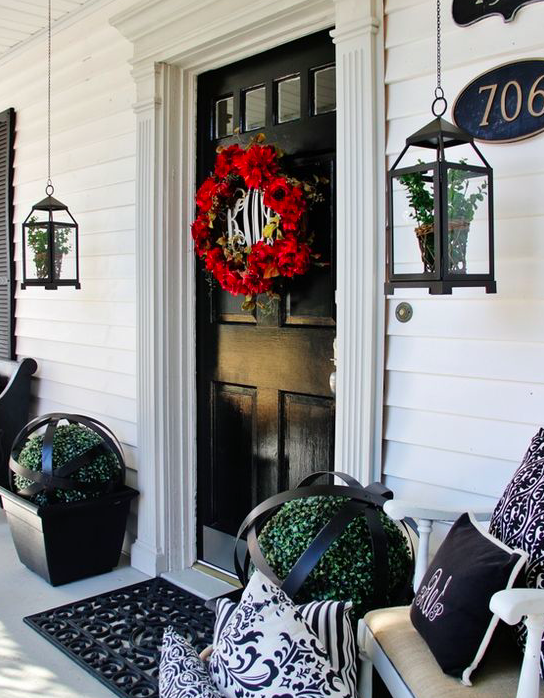 Your curb appeal makes a huge impact. Many people forget to decorate the porch when getting ready for holidays, but I’m always sure to make it look festive. 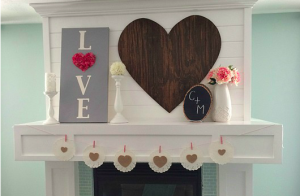 Valentine’s Day decor is some times harder to find than other holidays. 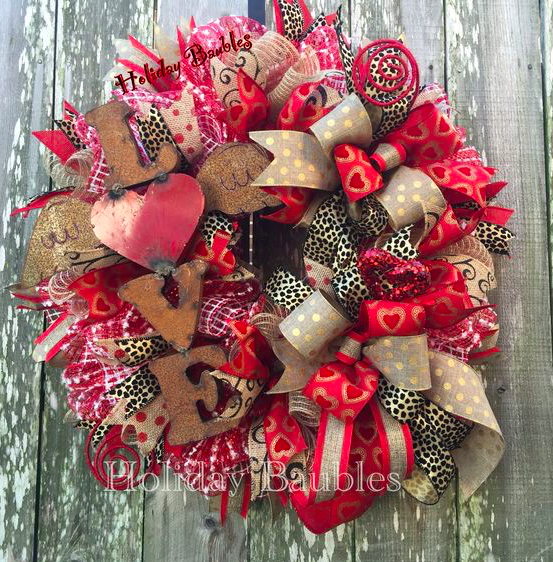 When in doubt, you can always add a wreath. 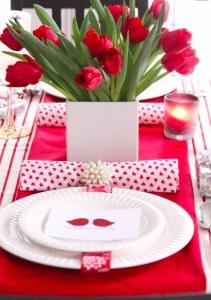 I love these looks because they all are great for Valentine’s Day, but they fit many different styles. 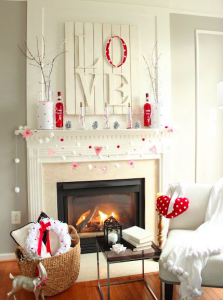 You can decorate small areas in your living room to get ready for Valentine’s Day. 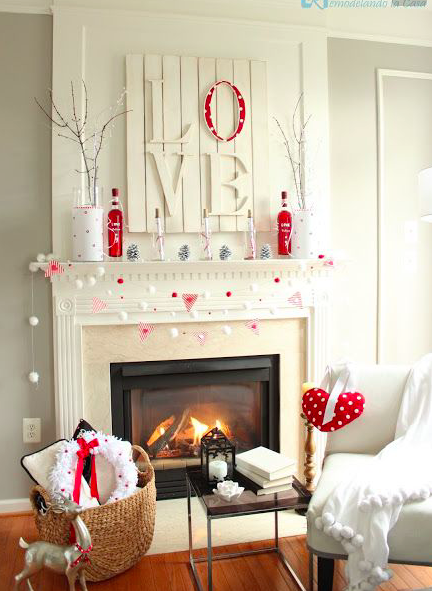 These two mantles are so cute and festive. The pops of red make such a great statement and add a little romance and color to different areas of the room. It is also easy to add some Valentine decor to your kitchen by adding some red, pink, or white flowers to make a statement and look beautiful. 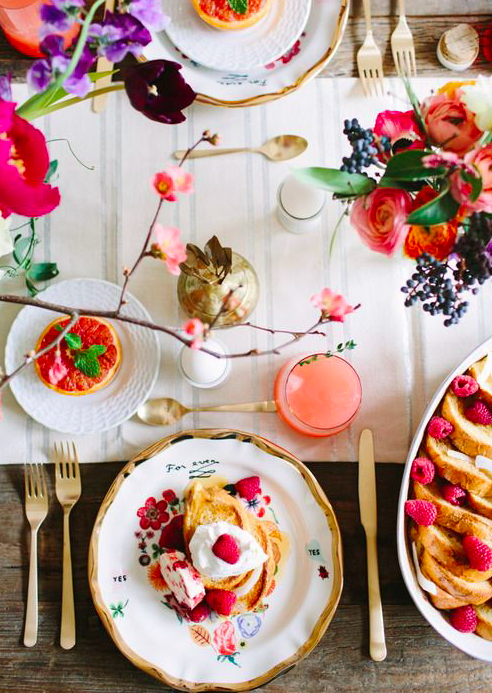 Place some dishes and decor around your flowers, and you are all set. 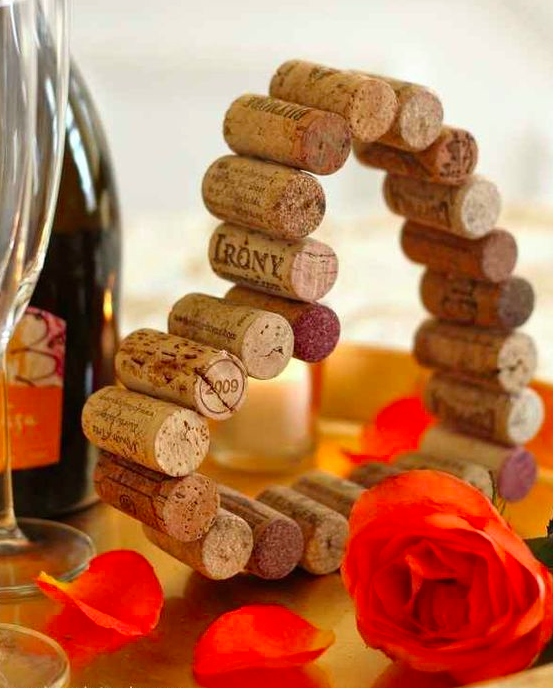 There are so many DIY options for small decorations, like these XOXO letters or this heart made of wine corks. 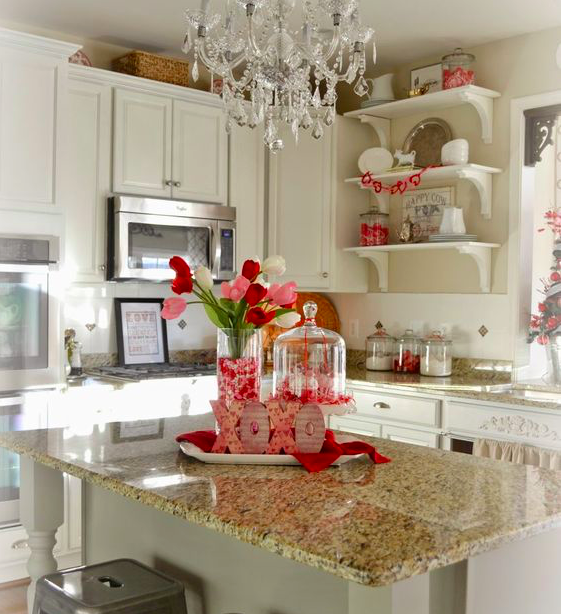 Don’t forget to bake some Valentine cookies to have on display and ready to serve to your guests! This is the easiest place to decorate for Valentine’s Day. Bring your Valentine dishes and flowers to the table and add in some red or pink napkins, a few candles, and a runner, and you will be ready for a wonderful brunch or dinner. 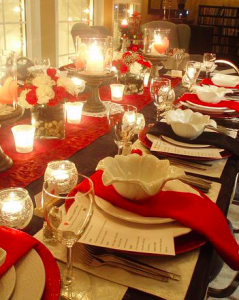 These options are great, and range from traditional to new ideas. By using some of these ideas, your house will look perfect for Valentine’s Day. Even just a few touches here and there will make a difference. 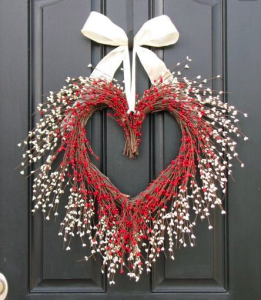 Happy Valentine’s Day every one!